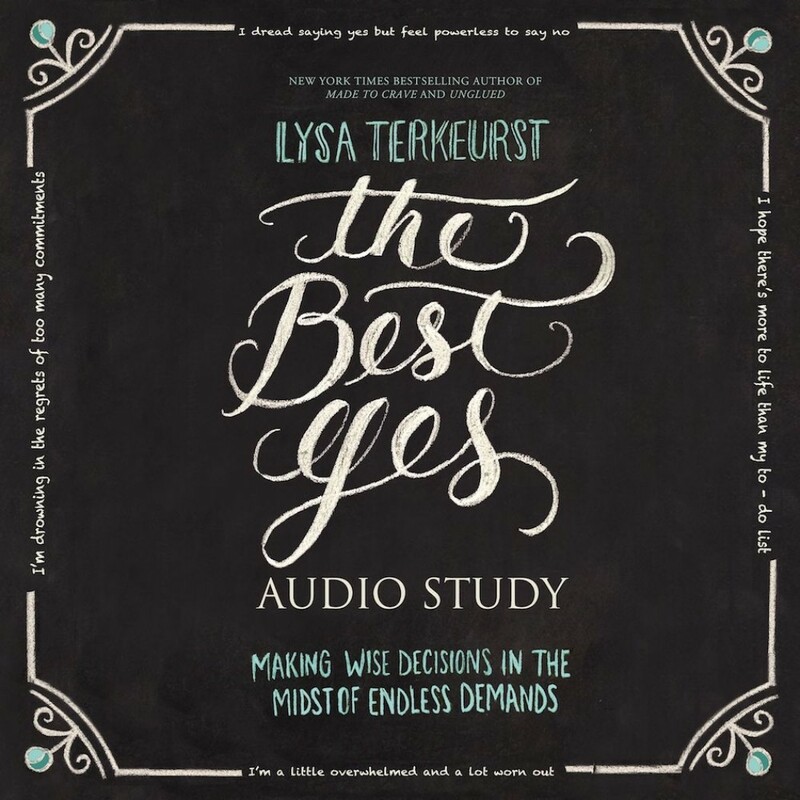 The Best Yes Audio Study | Lysa TerKeurst | Audiobook Download - Christian audiobooks. Try us free. The Bible Study Source series provides a unique audio learning experience. Unlike a traditional audiobook's direct narration of a book's text, The Best Yes includes high-quality, live audio sessions from the author that cover this important Bible-based topic. These sessions will reflect the ambiance of the unique recording locations, immersing the listener into the teaching. Do you find yourself spending a lot of time figuring out when to say yes and when to say no, thinking about how to manage your time, reduce stress, do your best for your family, find a little time for yourself? Lysa TerKeurst found herself in that same situation until she learned the power of “the best yes,” the choice that shapes all of our other choices. Cure the disease to please with a biblical understanding of the command to love.Escape the guilt of disappointing others by learning the secret of the small no.Overcome the agony of hard choices by embracing a wisdom based decision-making process.Rise above the rush of endless demands and discover your best yes today.